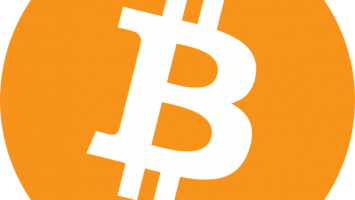 Running a Bitcoin faucet can be great fun and can teach you a lot about how to run one. You learn the development, business and marketing aspects of the site, which are all invaluable skills to have. But what you have to keep in mind when dealing with your own faucets is that while there are advertisers, and there are a lot of people that like to visit faucets, that does not make them profitable. If you want to make money off your faucet, especially a lot of it, you will have to go further than just hosting a faucet. You need to come up with other services that it can be tied in with that will help with the money generation. If you can do this, you can make a very successful site and everything can work out well! FaucetBox This processor was a successor to Microwallet after the admin left. This processor supports payments from Bitcoin, Litecoin, Dogecoin and Peercoin and currently has a very large amount of faucets running on it, and is very trusted by the community. They offer a free faucet script, and also a way to migrate a Microwallet faucet to FaucetBox. Paytoshi The admin is good with support and even made a library for payments on request. This processor also provides a free faucet script. Test the ones that work best for your website and stick to them, but just don’t rely on a single source of income. Also do not plaster your site with as much advertising as humanly possible. Not only is it ugly on the eye, but it makes you look desperate. SolveMediaThis is a widely used and supported captcha type on most faucet scripts. Occasionally a small pre-roll ad will appear in the captcha, or simply just a banner at the top. You will earn for every captcha solved on this system. However, since some of this captcha’s questions are multiple choice answers, it can be easy for bots to decipher. In additon to this, in order to get a cashout, you have to fill in a tax form. Minteye This captcha is different, as it provides a skewed image that the user must unskew to solve the captcha. This is done by sliding a bar at the bottom. Advertising is shown inside the skewed image, and isn’t intrusive at all.